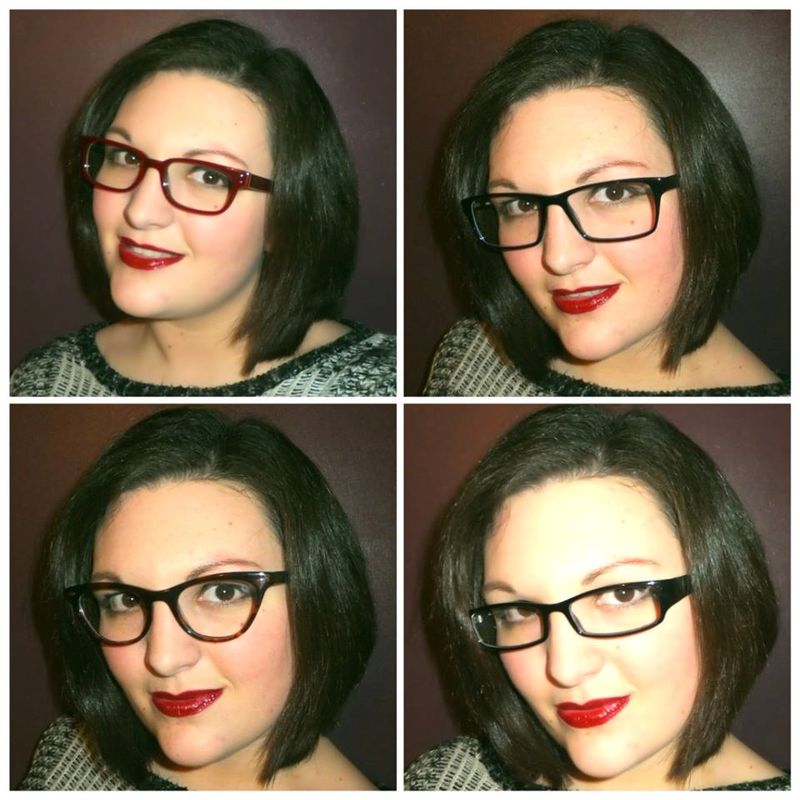 Glasses Direct Giveaway So the lovely bunch over at Glasses Direct have very kindly given me the chance to review some glasses and give a pair away to one of my readers! Glasses Direct is an online glasses retailer that offers pretty much every style of glasses you could possibly want and you can try them on from the comfort of your own home which is, in my opinion, fantastic. The glasses they offer really are for every taste and budget – there are own brands, high end designers and every style in-between. I used their home trial kit to choose which glasses I wanted to try on – you can choose up to 4 pairs of frames to try for 7 days and they’re dispatched first class the day after you order. The best bit about the home trial (aside from it being completely free) is never having to faff around going to a sorting office because you weren’t in when they arrived – the box fits through your letterbox and you can re-use it to send them back. A common misconception with getting an eye test is when you’re told you’ll need new lenses that you are obliged to buy from your optician and you’re really really not. Everyone deserves to have the perfect frames for them at a price they can afford because at the end of the day, they’re on your face day in, day out. Though you can never replace a physical optician for an eye test if you don’t find the perfect pair at the perfect price, you don’t have to settle for a pair you’re iffy about or end up stretching your overdraft to afford the only pair you like (been there, done that!). That’s where Glasses Direct comes in – they have so many pairs to choose from, you can filter them by your budget, check out the designers they stock and get advice on what will suit you as well. Now, I’ll cut to the chase and talk prices. You’re getting 4 pairs of glasses sent to you for 7 days and there’s no charge – there has to be a catch, right? Wrong. Glasses Direct don’t want you paying anything to try on their glasses and even returning the glasses is free as there’s a pre-paid returns label that you can stick on the box they came in. As their insurance, you put your card details in – nothing is charged unless you go over the 7 day limit and then you’ll be charged for the glasses you have (this stops nasty pasty people thieving!) and even if you are a day late, the moment they get them back, they’ll give you a full refund. The prices start at £25 and when you pay £55+ for a pair, you get a second pair for free. Designer glasses are also on 2 for 1 and you can add a tint for £10 to turn your glasses into sunglasses too. The prices include standard prescription lenses. Obviously, you can never rule out going to a physical optician as getting regular eye tests is essential (once a year please guys) but you should never feel under pressure to buy from that optician – you’re paying for their service and that service is a test not a follow up purchase. So, onto the review. I chose two pairs from the London Retro range and two from the Scout range. 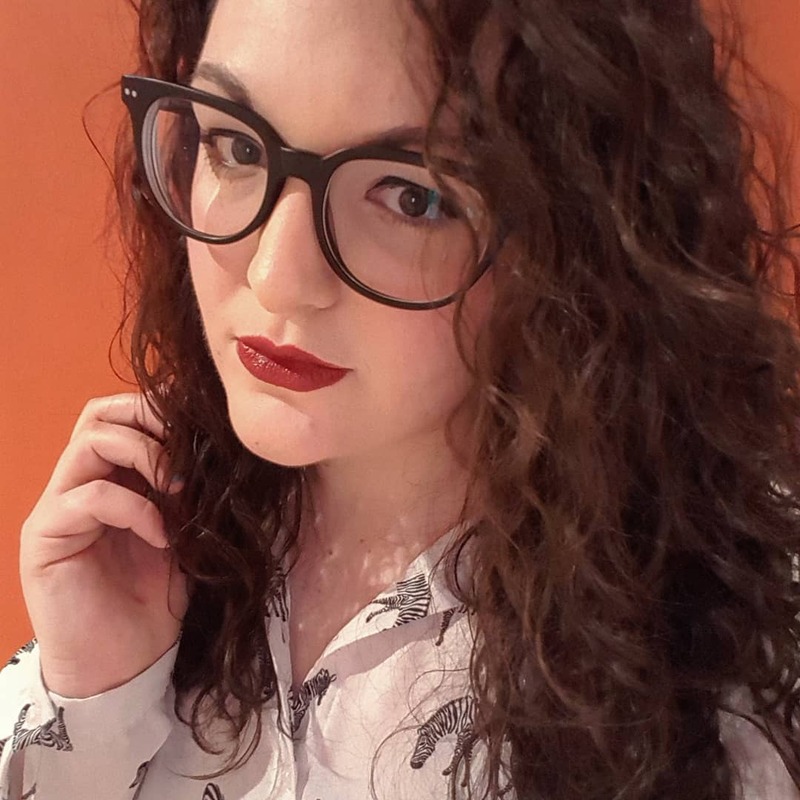 I chose these glasses (in red) because I was really drawn to the shape of them – they’re a wayfarer style and I’m usually in need of quite angular glasses as I have a round face. I chose the red colour as I’ve had coloured frames in the past and loved them but now I’ve reverted back to black, I feel like I need more variety. These navy frames are similar a Chanel pair that I’ve been lusting after (when I win the lottery, they WILL be mine) so they were a must-have for my home trial. I absolutely love the colour of these but they’re just a bit big for my face and I think I suit frames that are a bit thicker and heavier. It’s a shame because the colour is perfect – but that’s the great thing about a home trial, being able to see a few different styles and colours. This pair is my favourite. I love the ‘cat eye’ shape as it’s something that breaks the mould of ‘geek’ glasses that are so popular at the moment. I think these frames are really feminine and the tortoiseshell design is really pretty. These are my safe option – they’re quite similar to my current pair of glasses in their shape and I’ve always had a shape similar to these. This pair in particular fit a little bit too snugly on me (I have a big head!) but otherwise, they’re perfect for day to day wear – and at £75, you’d be getting a free pair too. And now it’s your time to get your hands on a pair of glasses from the Scout range. Fill in the RaffleCopter form below to enter and the winner can choose a pair of glasses or sunglasses which will be sent to you by the lovely folk at Glasses Direct for free. How do you shop for your glasses? The search for my signature scent.